It’s easy to ignore or put off warm-ups and cool-downs when training calisthenics. For many, spending time on this as opposed to strength training seems like a waste. It’s better to spend as much time as you can building muscle, right? You don’t feel stiff or have any niggling muscle aches anyway, so why bother? Beginners often have this attitude. But ask any expert and they will tell you that to achieve success you must integrate warm-ups and cool-downs into your exercise routine. You might get away without doing this for a while, but the only way you will achieve the success you are aiming for, is by creating a sustainable workout routine which includes these key ingredients. 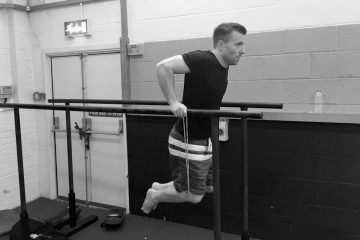 For any calisthenics routine to be sustainable it must include cardio, stretching and mobility work because if it doesn’t, sooner or later you will probably get injured or hit a plateau in your progress. Doing this before a workout warms and loosens up your joints and muscles, decreasing your chances of triggering an injury. Muscles Are Not Everything. Don’t Forget To Work Your Joints! A common misconception among beginners is that you only have to work your muscles. This is wrong, and especially so when it comes to calisthenics. Being a form of exercise which uses motor movements and bodyweight resistance, having nimble and loose joints is extremely important. This means you must include joint movements into your stretching routine. A simple rotating and side to side action for each area will be sufficient to get started with. Just make sure that you are careful and don’t over twist any joint. So, it need only add an extra 10 minutes onto your workout, and with such huge benefits there really is no reason not to include warm-ups and cool-downs in your routine from now on!